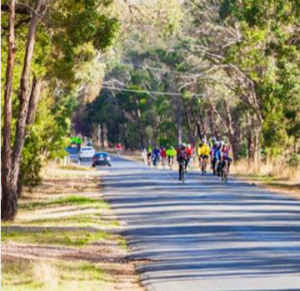 The intention of the Ballarat Autumn Day (BAD) Ride is to encourage people to challenge themselves and their families to ride longer distances in a friendly and supportive event over quiet country roads. The BAD Ride has now been running for twenty-seven years and has become an iconic event in Ballarat. The routes are well sign-posted and there are helpful marshals stationed on all major intersections.